Throwing knives make great weapons for stealth missions, where you can incapacitate your target without opening yourself up to mortal peril. 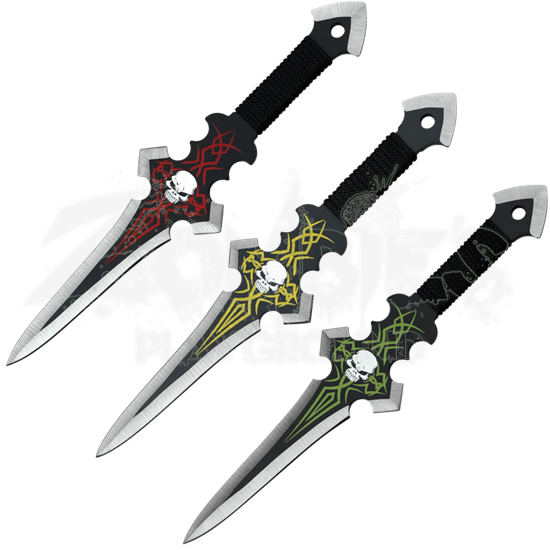 The Yellow, Red, & Green Perfect Point Throwers include three stainless steel knives. 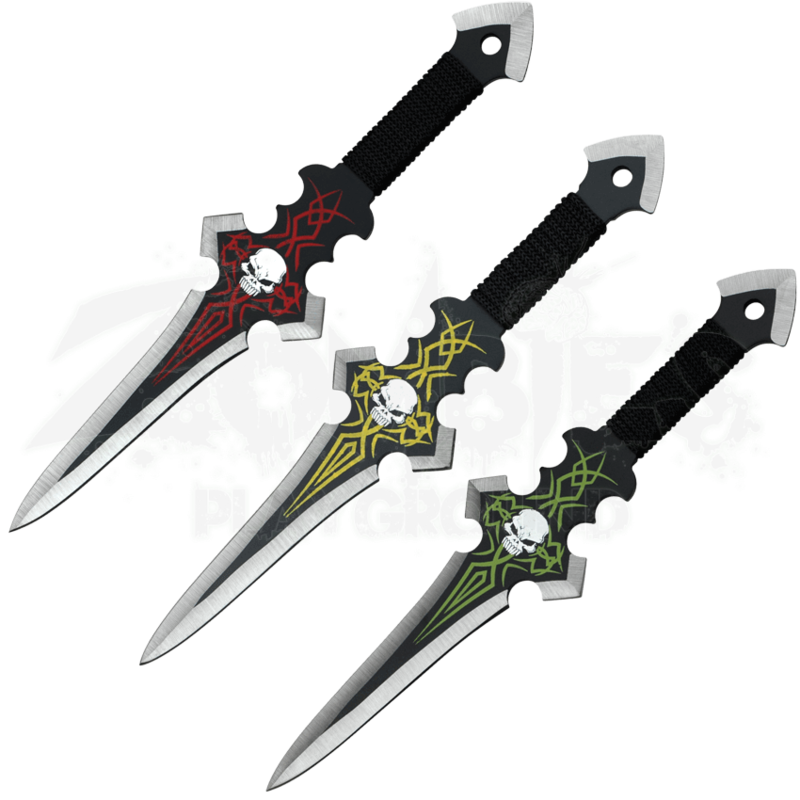 Each knife bears a Gothic skull pattern with colored background patterns - one in red, yellow, and green respectively - and a black cord wrapped handle. A nylon sheath ensures that these Perfect Point blades can be easily carried around. Show off your skill to your friends with these colorful throwers!